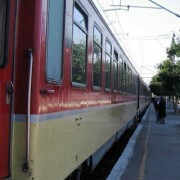 Transportation content was the first major addition to the site since launching the BoKIR. The national case studies and other resources related to rail, bus, and intra-urban transport are diverse, since approaches to transportation regulation differ widely across countries. The expansion of the infrastructure sectors covered in the narrative was necessitated by a growing recognition that there were lessons that could be shared across countries and regions of the world. As another network industry, transportation required expansion and updates for each topic area (especially in market structure/competition policy, price level regulation, and regulatory process). If your organization would like to sponsor the addition of new infrastructure content to this web site, please contact PURC at purcadmin @ warrington.ufl.edu.